Wood Energy South will use Southland’s abundance of carbon-neutral wood supplies to generate cost-effective energy that will benefit local businesses and schools. Many businesses have already converted including McCallum’s Dry-cleaning, Slinkskins Thornbury and Splash Palace. 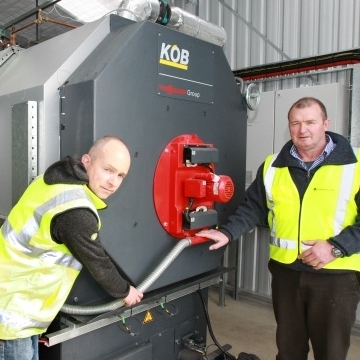 Recent schools to convert to wood boilers are Donovan Primary (woodchip), Waihopai School (woodchip) and Menzies College (pellets). Sometimes the easiest way to get a better understanding of what’s involved is to visit one of the sites. We would be happy to arrange this so please get in touch with your request. McCallums cut fuel costs by two thirds by moving to wood chips. 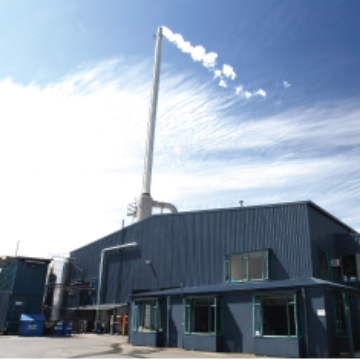 Switching from LPG and light fuel oil to wood chip-fired boilers helped Southland drycleaners McCallums Group cut fuel costs by two thirds. The change also insulated them from energy market volatility that was creating major problems with keeping contracts profitable. Highly favourable projected savings, in combination with a mechanical design that would see the retention of the existing heat sources, satisfied the financial and operational objectives for the project. To minimise the use of the peak load boilers during the morning’s peak use of hot water, a large 12,000 litre buffer tank capacity was specified. The wood chip ash is only a fraction of the volume that was generated by lignite. This means we went from having 2 skips of coal ash sent to the landfill every week, to ½ wheelie bin which can be composted in the garden” says Asset Manager Paul Horner. The total cost of the upgrade was estimated to be about $650,000. While the wood chips are 15% more costly than lignite, the Council saves in other areas such as supervision of the boiler, maintenance and future clean air requirement. Takitimu School principal Lindsay King said when it came to assessing the school’s future heating options wood energy won hands down for long-term cost effectiveness, efficiency and environmental sustainability. The school had been using coal kindly donated by Solid Energy then later Nightcaps Coal until the boiler failed leaving the 110 students reliant on electricity as the primary heat source for two winters. The old boiler, which had been in use for many years, was temperamental for a long time before it finally conked out, King said. He took into consideration a recommendation from the Ministry of Education, which had been investigating the most sustainable and inexpensive heating sources for schools. "THE ROOM LOOKS COMPLETELY DIFFERENT. IT'S NO LONGER A DIRTY DARK BOILER"
CH Faul owner John Faul said health and safety benefits were yet another tick in the wood energy box. With more stringent health and safety law coming into effect in April 2016, issues around caretakers and other staff working in a dirty, dusty coal boiler-room were relevant to any organisation operating a boiler. Faul said the Froling units were highly efficient and “as finely tuned as a top European car”. The units have an outdoor compensation facility, by which they can take outside temperatures into account and adjust accordingly. Wood energy gave the forestry industry another string to its bow, while anything from walnut shells to olive stones could potentially be used as a fuel source, Faul said.